Rockfish Men's Chelsea Boot Wellington - Handmade by our expert bootmakers 100% Natural rubber - Handcrafted Vulcanised rubber - durability & strength Resistant to horse urine. Elasticated ribbed inserts and a helpful woven loop. Easy to slip on - off. Durable quick dry polyester lining (easy to slip on and off ). Ergonomic fit to ankle and instep. Shock absorbing foam insole and foot bed. Cleated heal and grip bars across the outer sole. Abrasion resistant rubber compound to the heel & sole. Supreme durability. 12 month guarantee. Rockfish do not come up big or small - true to size. 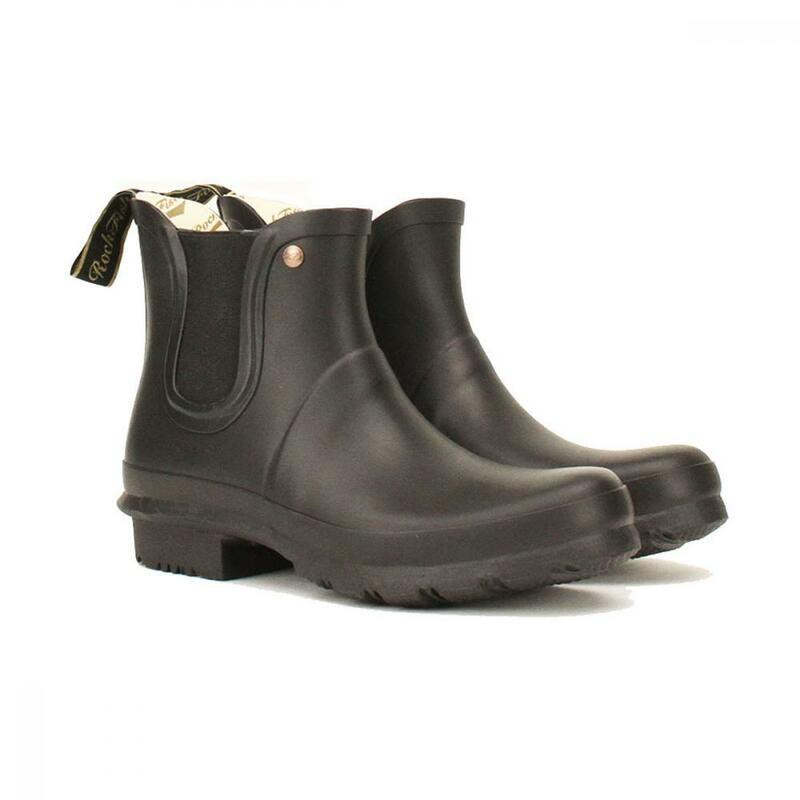 There are currently no questions for Rockfish Men's Chelsea Boot Matt Wellington - be the first to ask one!